Although Shasta Lake garners the lion’s share of tourism traffic in this popular Northern California playground, lesser known Shasta Dam (www.usbr.gov/mp/ncao/shasta-dam.html) is also worth a visit while you’re in the area. It’s a bit off-the-beaten-path, but to be honest, that’s actually part of its charm. From interstate 5, take exit 285, about ten miles north of Redding, then head west on Lake Boulevard. The road travels through the remote City of Lake Shasta before it dead-ends at the dam, about five miles down the road. You really can’t miss it. 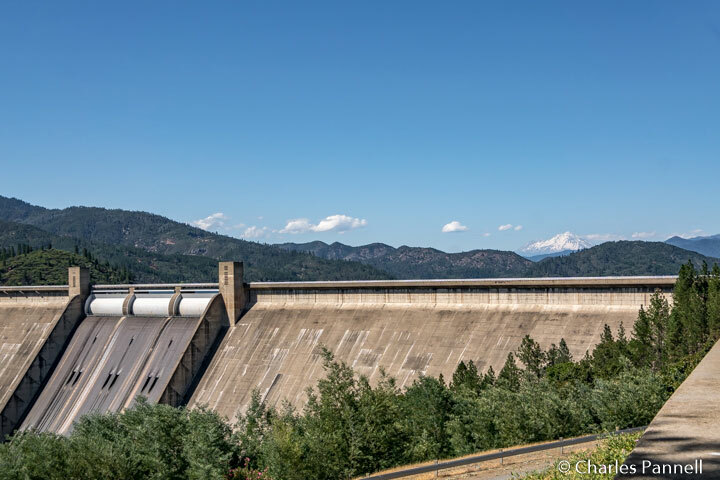 There’s accessible parking near the Shasta Dam Visitor Center, with level access to the building. Inside there’s an information desk, a theater, and a variety of interpretive exhibits. Free dam tour tickets are available at the information desk, on a first-come basis. 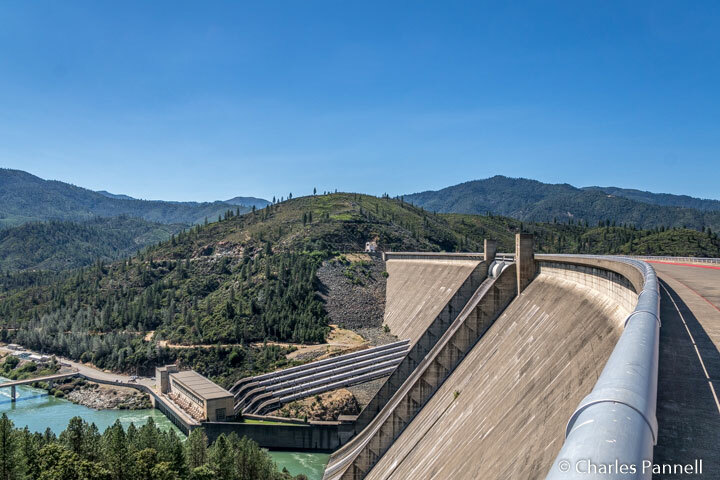 Tours are limited to 40 people, and are offered several times during the day between 9 a.m. and 3:30 p.m. For updated tour times, call (530) 285-4463, as the dam website doesn’t always reflect the most current information. It should also be noted that bags and backpacks are not allowed on the tour, so make sure and leave them in your car. The dam tour is wheelchair-accessible with barrier-free access to all areas. The tour starts at the elevator on the dam, which is a short level walk away from the visitor center. Best bet is to arrive about a half-hour early so you’ll have plenty of time to pick up your tickets and allow for a leisurely walk over to the dam. Visitors descend 428 feet to the base of the dam to begin the tour. After the guide shares a brief history of the dam, which was constructed between 1938 and 1945, the tour continues through one of the many galleries (tunnels) that run through the structure. These galleries were built for inspection purposes, so engineers can monitor the integrity of the 15 million tons of concrete in the dam. The tour then continues on to the Shasta Power Plant for a look at the generators, before it heads outside to the transformer deck, and concludes with a view of the spillway from below. Not only is it a very educational tour, but since the temperature is always a very cool 65 degrees inside the dam, it’s a great place to spend a hot afternoon. If you miss the tour be sure and catch the film at the visitor center, which takes you below ground for a virtual tour of the dam. Accessible seating with nearby companion seats are available mid-level in the theater. And you just can’t beat the view either, as the floor-to-ceiling windows in the front of the theater look out on to the dam. There’s also a nice picnic area in a shaded grove near the dam. It’s a great place to enjoy lunch, or even an afternoon snack. Not only is there an accessible picnic table in the grove, but it’s situated in a prime viewing spot near the dam. So take some time to sit a spell and enjoy the view. And like the dam tour, it won’t cost you a single cent.